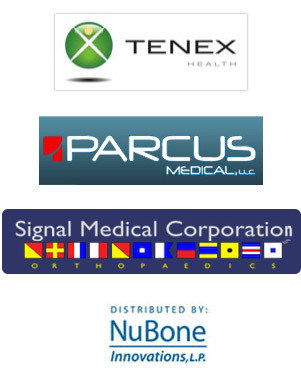 Parcus Medical manufactures and distributes suture anchors, interference screws and ACL graft fixation accessories and instruments for orthopedic procedures using a B2B approach. Low cost manufacturing and direct to customer distribution yields considerable cost savings. Signal Medical Corporation, an evolving company in the orthopaedics industry that is combining the latest implant materials research with leading-edge clinical research to offer orthopaedic surgeons the highest quality implants with the greatest assurance of long-term clinical success. StemVie™ Bone Graft Substitute is a biphasic ceramic composed of 60% Hydroxyapatite (HA) and 40% beta-Tricalcium Phosphate (β-TCP) and presents a global interconnected porosity of 70% with: 2/3 macropores (300-600µm) and 1/3 micropores (<10µm). At PTY Medical Group, our customers come first and that’s why we represent a diversity of medical supply manufacturers which ensures that you, our customer, can get the best quality medical products at the best price, all under one roof. At PTY Medical Group, we also believe that a good customer relationship starts and continues with quality of service. Our company offers fast delivery and flexible payment terms.